Did Santa give you everything you asked for this Christmas? those few presents you missed this year. 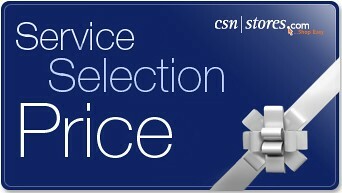 CSN Stores is offering one lucky reader a $95 gift certificate! I visited the link and they have some great tv stands! I visited and I am a follower too. I have been tempted with the http://www.tvstands.com/Riley-Holliday-87385-RIH1077.html. Hi, I visited the link and I like the Riverside Furniture A Splash of Color TV Console - 1199. Thanks so much for the giveaway! I clicked on the link and I like their corner TV stands. Just visited the site, wow, great selection of tv stands! I visited the site. Love their items! I am a Paris Pastry follower..of course. Love your blog! Wow, there are some nice stand there. :) The walker Edition kinda looks like the one I have, haha. I visited their site and they have a lot of great t.v. stands! Love some of them in the Espresso color! I'd love to win so I could get these Timberland boat shoes for my fiance to wear on our wedding day. We're on a very tight budget so winning would be so wonderful. I'm a public follower via GFC (Nicole-Lynn). I visited the tv stands link.. I love this one! We could certainly use a new tv stand. We got a new flat screen but it doesn't fit the big, clunky stand we currently have. I liked some of the modern ones CSN has. They also carry Flat Panel Mount TV stands. And free shipping on many of the items! I am a huge CSN Fan and I am amazed at what a great giveaway you have here! I visited the link and, as always, am impressed with their variety! I am already a GFC Follower! Thanks! I visited the link and if I needed to buy a new stand I'm thinking I would go with white as I have white furniture in my home office. Can't wait until I have a place of my own to decorate! They have alot of nice TV stands. I visited the link and I love the Tech-Craft Solution 42" TV Stand - FLEX42W. I was just talking about their tv stands on my blog. I visited the link and I check your blog every day!! I visited the TV stand link and the one I like the best is the Kathy Ireland Home by Martin Furniture Bradley Flat Panel TV Stand - IMBR369. I really like this TV stand! So many stands! Great selection. I could use a TV stand! My tv is on the floor but its a really big old tv. No,I did not get a gift for Christmas but I am buying myself some new shoes as a gift soon so,Thats like a gift from me to me! I am following you too! Thanks! i visited the link but i dont need any tv stands but they are affordable. They have some great tv stands. I especially like the white one with the books shelves underneath. I looked at the link, and I'd love to be entered to win. I love CSN stores for cooking and baking supplies. I am a new follower - and my email is available in my blogger account. Thanks! They are all very lovely. I like the Walker Edison Castillo 44" Corner Wood TV Console in Black. It would fit nicely in our basement. I visited the site and I like the Phone Booth Media Cabinet -- it is so cute & clever. Thanks for hosting such a nice giveaway! You can find me on Blogger and here: http://bit.ly/hj6RNF . My dad just got a new (used) tv so a new stand from CSn would be great! 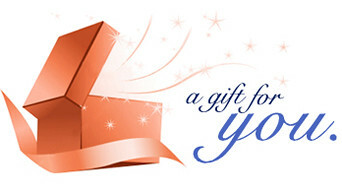 this giveaway is quite marvelous! Love your bakes and every captioned pictures are clearly exemplary of baking talent. Cheers ! and have more Bakings in the new 2-0-1-1 too !!!! I visited the link and Thanks for the giveaway! Great site! Thanks for the giveaway! I just visited the link- so beautiful stands and great prices! I'm a blog follower too. You write the most delicious posts!! They have lots of TV stands to chose from. VIsited the site, what great products! $95 would buy one of those stands for sure! I think I'd lean toward cookware though. Our pans are hurting!